Stephen Hawking and Raspberry Pi @Raspberry_Pi #PiDay #RaspberryPi « Adafruit Industries – Makers, hackers, artists, designers and engineers! On 14th March 2018, when Stephen Hawking died, the world lost one of its great minds. His courage, his determination and his sheer brilliance in his chosen field made him stand out as someone who made his mark on the world, despite all the adversity he faced. What was little known, up to this point, was that his voice, for a few months before his death, was powered by a Raspberry Pi! 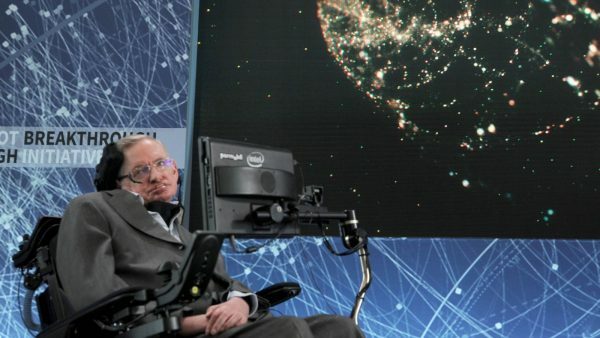 A team lead by Eric Dorsey, a Palo Alto engineer, had worked steadfastly for the previous few years to re-create Hawking’s distinctive electronic voice. For more than 30 years, Hawking’s voice was the product of a piece of technology called the CallText 5010, a commercial voice synthesizer. This equipment was slowly starting to fail and Dorsey was called in to try to save the voice that Hawking had grown so attached to, American accent and all. Eventually, several years later, they had managed to replicate the voice as near as possible on a Linux system. This Linux-based code was then ported to a Raspberry Pi so that it could be strapped to Hawking’s wheelchair with Velcro and plugged into his speakers.